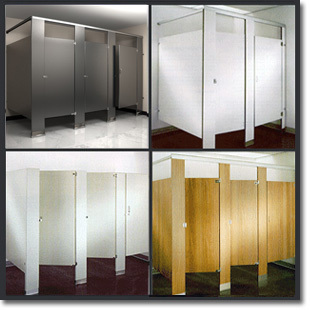 Flush Metal has been a leader in the partition industry for over 50 years, manufacturing bathroom partitions, showers, urinal screens, and dressing rooms. All compartments are furnished complete with quality hardware. As one of the country’s oldest and most experienced manufacturers of bathroom partitions, showers, urinal screens and dressing rooms, Flush Metal is unmatched in its technical capabilities; plus, its flexibility to make custom changes quickly meets the needs of the fast-track building industry. Quality is a hallmark of any Flush Metal product. Special attention is given to both the materials and manufacturing procedure for every project. This insures that the company’s own rigorous in-house inspection standards are met before items are shipped. Architects often call on Flush Metal’s years of experience to recommend both product and design for maximum efficiency and durability.